Now that it’s late September, and still rather warm in upstate New York, I’m still in the mood for autumnal foods. How best to get those than pumpkin pie flavored ice pops? They’re flavored for the season, but luckily will allow you to avoid turning on your oven. 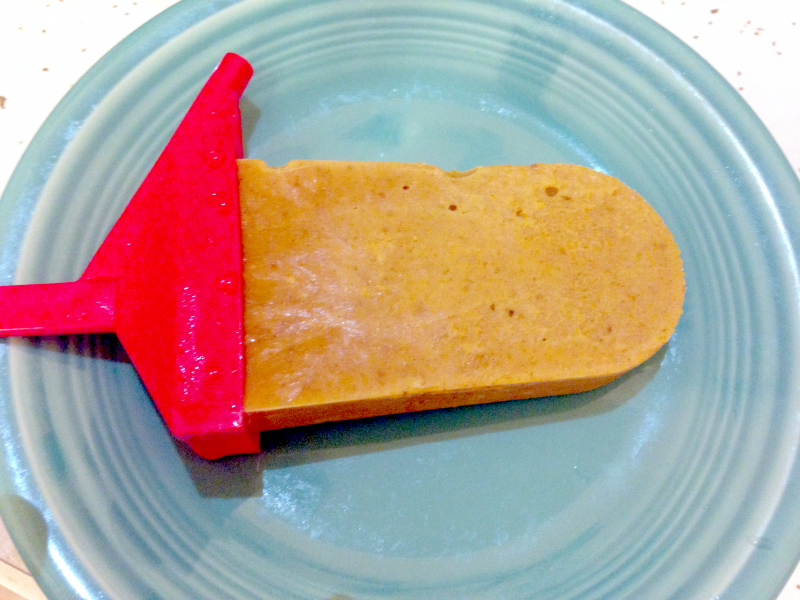 The addition of the sweetened condensed milk helps to keep the ice pop nice and soft, even when frozen. The graham crackers provide a different texture and a bit of crust flavor, though you can leave them out to make gluten-free pops. I liked this with a mild sweetness, but if you wanted it to be sweeter, you could add maple syrup to taste. Optional: graham cracker, crushed, 1-2, by your preference. I used 1. 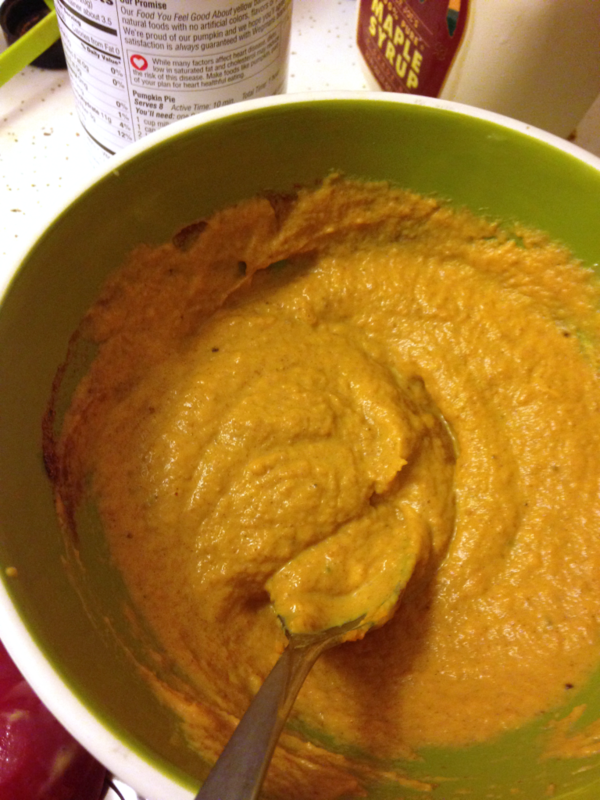 Mix together the pumpkin and sweetened condensed milk. If it’s not sweet enough, add some maple syrup. 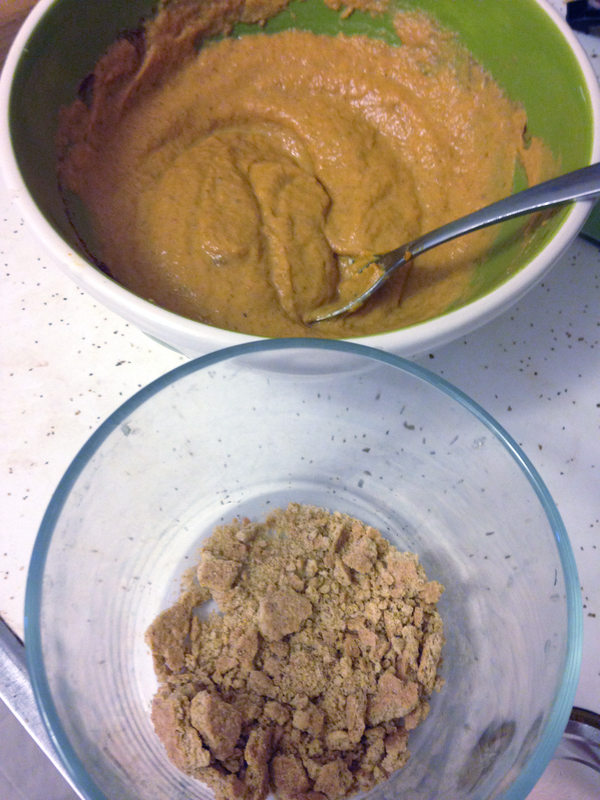 Add pumpkin pie spice, mix. 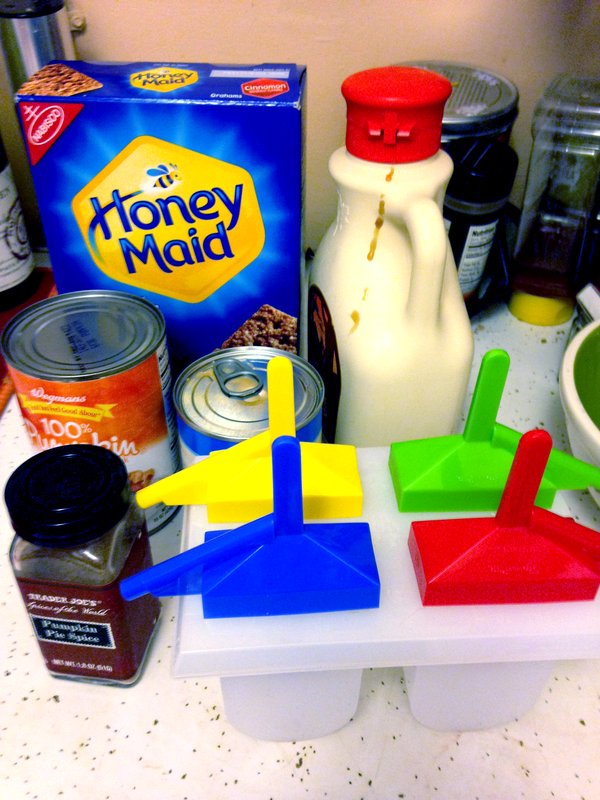 Add some mixture to the molds. Add graham crackers. 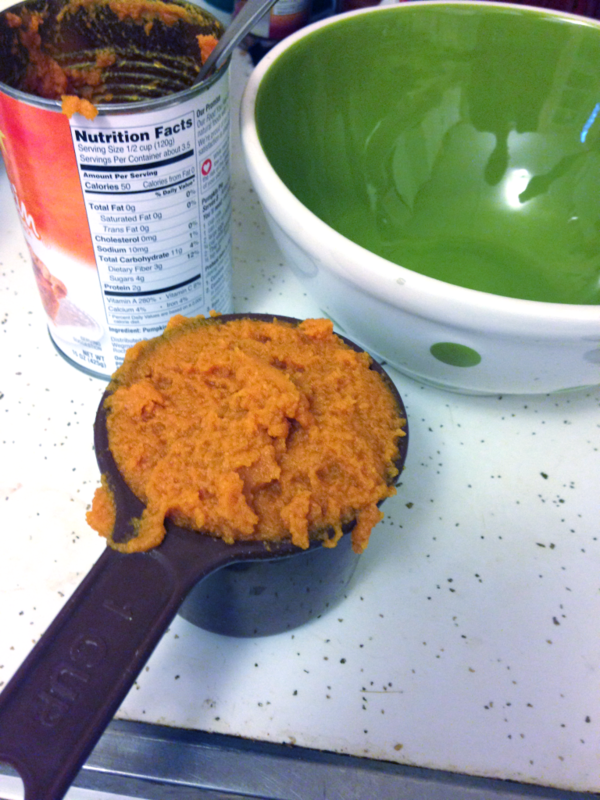 Add more pumpkin mixture until the mold is full. Top with graham crackers. Tap down the molds, to try to get air bubbles out. Top with sticks. Freeze. 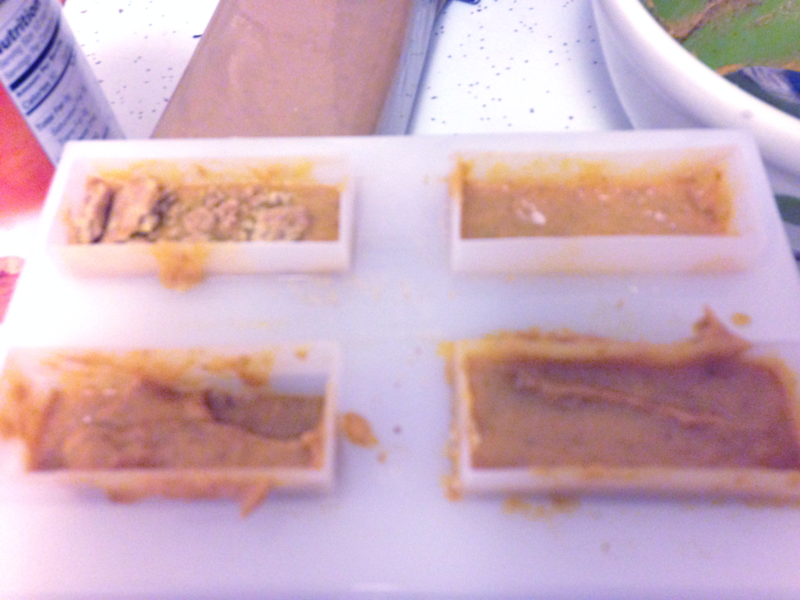 When removing the ice pops, to try to get the pops out cleanly, run the molds under warm water for about a minute.